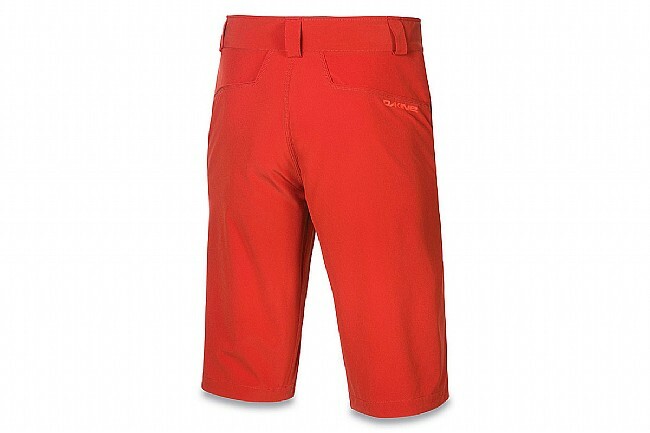 Dakine Men's Pace Short is made from a quick-drying stretch polyester / spandex fabric that's sure to keep you cool on the trail. These lightweight breathable shorts have interior side waist adjustments and a two snap button closure for the perfect fit. Up front, two mesh hand warmer pockets provide functional storage on and off the bike. 14" inseam. Available in multiple colors. These fit perfectly and they are light. Great shorts at a great price!